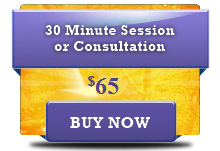 ThetaHealing® is designed to find the root cause of an issue. When the root is healed, all that arose from that root is also healed. ThetaHealing® uses unconditional love from the Creator of All That Is to release you from circumstances, events and people that have influenced your perception allowing you now to be who “YOU” truly are. ThetaHealing® is a technique that focuses on thought and prayer. With growing scientific evidence that toxic emotion can contribute to disease and the awareness that emotions, feelings and the power of thought have a direct bearing upon our physical health, there is increasing interest in changing how the mind influences the body to create optimum health. Belief and Feeling Work empower people with the ability to remove and replace negative emotions, feelings and thoughts with positive, beneficial ones. ThetaHealing® can be most easily described as an attainable miracle for your life. It is important to be fully hydrated, this will allow your muscle testing to be clear and strong. During most sessions muscle testing will be needed. It’s important to be clear on what issue you want to work on during the session and if you have an idea of how your issue is serving you or what you’re learning as a result of the issue, this will rapidly accelerate the pace of your session.